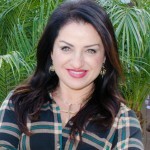 Nellie Akalp is a serial entrepreneur, small business advocate, speaker and author. Through the various “Do-It- Yourself” and “Business-Startup” services she has founded since 1997, she has formed over 200,000 corporations and LLCs for small business owners. Her last company was acquired by Intuit in 2005. Today, she and her husband, Phil, operate CorpNet.com where they help entrepreneurs start and maintain a business in compliance with state filing requirements for a new or existing business. Nellie shares her expert tips with readers at Forbes, Entrepreneur and Mashable and is a regular guest expert on the Fox Small Business Center. She has presented a workshop at Small Biz Expo and sat down with members of Girls in Tech, General Assembly and more to inspire and motivate others to make their business dreams a reality. Nellie sold her company at the age of 31 for $20,000,000! She then had the tenacity to start again from ground zero. Running a business is like playing a game, and it’s about winning. It’s clear after hearing Nellie Akalp tell her story that she is definitely in it to win it again! Make sure to check out Nellie Akalp on her website at corpnet.com! You can also send an email to info@corpnet.com, or simply dial 1 (888) 449-2638 Mondays through Friday from 6:00 am until 5:00 pm PST.